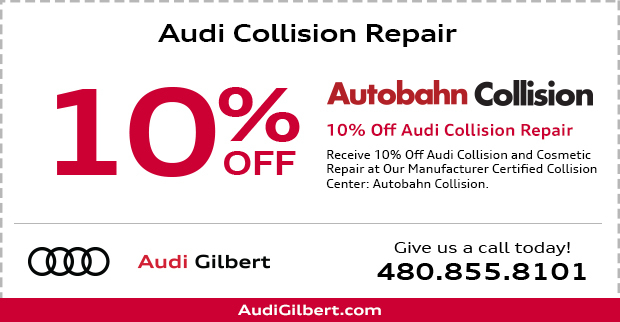 *Valid at Audi Gilbert on Audi vehicles only. Plus tax & fees if applicable. No cash value. Some models slightly higher. Offer not valid in conjunction with any other special or offers. Must present coupon at time of service write-up. Expires 6/17/2019. 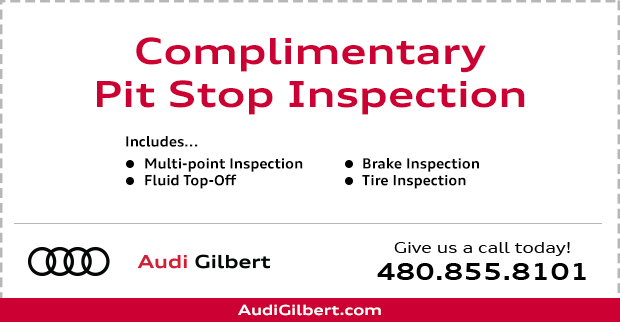 *Valid at Audi Gilbert on Audi vehicles only. Plus tax & fees if applicable. No cash value. 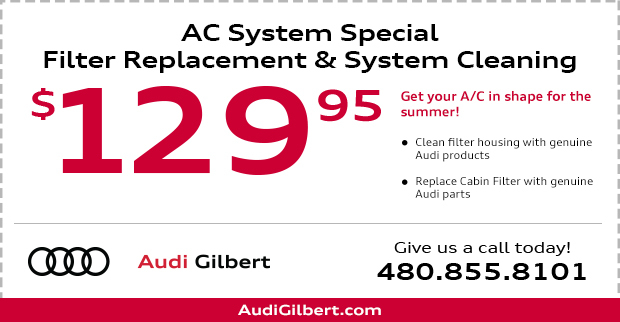 Offer not valid in conjunction with any other special or offers. Must present coupon at time of service write-up. Expires 6/17/2019.